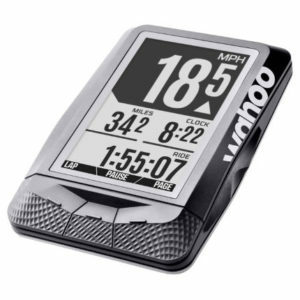 So, in this post I’m going to compare the Wahoo ELEMNT with the Wahoo ELEMNT BOLT in an effort to determine their relative merits. Then I’m going to buy one. You’ll have to read, or at least go, to the end of this post to find out which (oooh, the suspenders…). Well, they’re a US firm. I think they started out making an iPhone case for use on your bike. Now they have a range of products, including bike computers and a heart rate monitor strap. Their highest profile product is probably the KICKR indoor trainer (and its younger sibling, the KICKR SNAP), which is used by Team Sky primarily to delay the jersey presentation ceremony each day on the Tour de France (whilst Chris Froome warms down on it…). First things first. Both devices are missing an ‘E’ from their names. This may or may not be important to you. This is a Wahoo ‘thing’. They miss letters out of names. Specifically they miss vowels. Sometimes it is the second vowel (‘KICKR’ is the name of their indoor trainer; ‘TICKR’ is a heart rate monitor, much to the delight of ’Allo ’Allo fans globally). Sometimes the third (see ‘ELEMNT’). When it came to their range of on-bike sensors, they elected to use the full complement of vowels, thus avoiding the challenge of selling consumers on the merits of an ‘RPM SPED’ or an RPM ‘CADNCE’. Both the ELEMNT and the ELEMNT BOLT are what you would describe as ‘fully-featured GPS cycling computers’ (if you go around spouting marketingspeak). I was also about to say that both are used by professional cyclists and therefore satisfy the ‘good enough for Montgomery and [insert your name here]’ test … BUT … I can’t actually find any pro cycling teams that use them. Maybe it’s because they’re too new. Presumably it’ll only be a matter of time. As mentioned above, Wahoo already sponsors Team Sky, although only from an indoor trainer perspective. Wahoo also sponsors Canyon-SRAM, the UCI Women’s World Tour team, but all the photos I can find show riders using Garmins. Maybe they’ll all be BOLTed up in 2018. THAT ALL SAID… based on all the reviews I have read, and looking at the feature set, it’s safe to say that both the ELEMNT and ELEMNT BOLT will do everything (and more) that I require from a bike computer. So What Are Those (Fully) Features? The ELEMNT and BOLT do everything we’ve (now) come to expect from a GPS bike computer. They display and record rider speed and distance throughout the course of the ride, recording the route taken and then make it easy to upload this data to a data repository of your choice (e.g. Strava) when done. They both offer a range of navigation features, including turn-by-turn instructions and on device maps. Without going too far into the weeds, neither the ELEMNT nor the BOLT are ‘intelligent’ when it comes to mapping. You can’t create a route on the device itself; they won’t re-route if you go off course. However, they do work closely with your smartphone, via the Wahoo companion app, to get to a position where you can create and amend routes on the fly, and then sync them with the GPS device. What Else Is The Same Between The ELEMNT and the BOLT? I expect to go into greater detail in future posts about specific features and capabilities, whichever Wahoo I wa-buy. Integration with cycling and training apps – you’ve got your Strava, your Training Peaks, your RIdeWithGPS, amongst others. In the case of Strava, both the ELEMNT and BOLT can handle Strava Live Segments. Actually not much, to tell the truth. The most obvious difference is that the original ELEMNT is larger than the BOLT. This means it has a larger screen size: 2.7 inches versus 2.2 inches on the BOLT. Neither unit has a touchscreen (like the various Edge units that do have touchscreen). They both have greyscale displays rather than colour (or indeed color). Screen size requirement is difficult to judge from afar. Given that the BOLT is roughly the same size as my Edge 510 and I’ve been happy enough with the size of the screen on that, I don’t feel a pressing urge to upsize to the ELEMNT. The ELEMNT is a full 39.2 grammes heavier than the BOLT and as we all know every little helps when we’re slugging up the mountain side, pedal stroke by painful pedal stroke. But what we also know is that 39.2g is less than the weight of a ‘grab bag’ of Real McCoys Salt and Vinegar crisps* (‘chips’ for those in the US). So the weight thing really doesn’t matter (or more correctly, there is more important weight to be lost elsewhere…). Both the ELEMNT and BOLT have integrated rechargeable batteries (as opposed to the new ELEMNT Mini, which uses yer bog standard replaceable coin cell batteries). 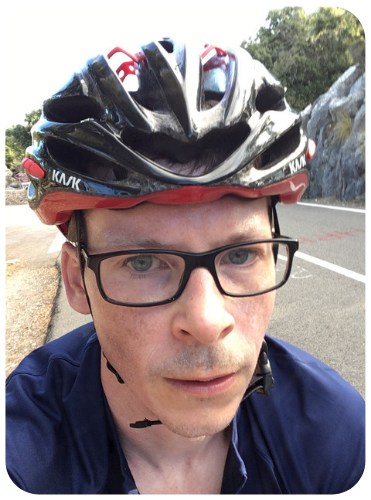 They do have slightly different stated battery lives – the ELEMNT says ‘up to 17 hours’ and the BOLT is ‘up to 15’ but for my purposes, that’s essentially the same (I am neither riding for 15 hours nor 17 hours in one go…). But what about performance in the wind? On its website, Wahoo describes the BOLT as being ‘the most aerodynamic design’ (implying presumably that the ELEMNT is… not). This looks to be because the out-front mount that comes with the BOLT has a curved underside that sort of fits into the bottom of the device such that it becomes one streamlined whole. Whilst I have no reason to doubt the claim, until I’ve gone to a wind tunnel in order to finesse my riding position to achieve a straight horizontal back like Bradley Wiggins in his hour world record ride, I’m not going to choose a bike computer based on aerodynamics. An interesting* feature of the ELEMNT is that it has a track of LEDs that runs across the top edge of the device, and another set of LEDs along the left hand side. The LEDs can be set to show either your heart rate, speed or power relative to the ride average for that metric (and power relies on you having a power meter connected). The second set of LEDs on the ELEMNT can indicate that you’ve received a notification or tell you that a workout is paused. The BOLT eschews the left hand set of LEDs and just runs with the ones that go along the top edge. I don’t think the number of LEDs is a deciding factor for me. I reckon I can live with just the one set. ELEMNT BOLT – nuff LEDS? As an aside on this important topic, since we’re talking about Wahoo, presumably ‘in house’ they’re known as LDs… (much hilarity ensues). Now we’re getting to the heart of it. Certainly the heart of what makes Montgomery tick. The RRP (think you US-ers call it MSRP) of the ELEMNT is £50 higher in the UK (£249 for the ELEMNT; £199 for the BOLT – in both cases not bundled with heart rate strap and speed/cadence sensors). In the US, I think the price differential is $70 – $329 for the ELEMNT; $249 for BOLT. The reason I only think that is because the Wahoo site won’t allow me to view it. It keeps redirecting me to the UK version. I’m going on what the Google search result tells me (like most of the info on this site). What is relatively interesting (only relatively) is that there isn’t much variation from this price on Amazon and online cycling retailers. In fact, it’s quite difficult to get hold of Wahoo bike computers on Amazon at all (I can’t find the BOLT on Amazon in the US … PROPER SHOCK HORROR). Wahoo seem to sell quite a few computers directly from their website, so maybe that’s it. Wahoo ELEMNT vs ELEMNT BOLT: So Which Are We Going With? 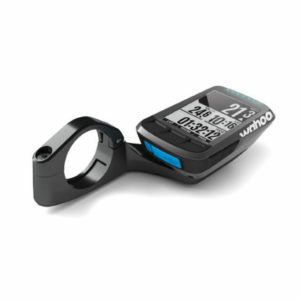 I’ve decided to buy the Wahoo ELEMNT BOLT. Wahoo indeed. Ultimately, the BOLT does everything the ELEMNT does, just in a more compact package. I don’t need the larger screen; if I need to see a map in more detail, I always carry my iPhone whilst riding. And whatever the claims of being more aero, it looks more aero. That seals the deal. My Wiggle order tracker tells me it should arrive on Thursday. Wait, This Is Folly, Shouldn’t I Stick With Garmin? It’s a big decision to leave the ‘Garmin family’ and shack up with a Wahoo (it’s not really). 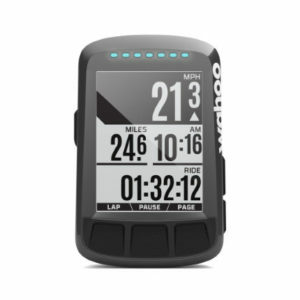 I’m used to my Garmin Edge 510 and I’ve written a lot about the other GPSs in the Edge range. Maybe I should just upgrade to a newer Garmin? Funny you should say that (or did I say it)…. I’ve actually decided to buy an Edge 520 as well (wait, what?). In an attempt to be more useful, my plan is to compare both devices properly (i.e. by using them) and then writing up my results (er, here, on this blog). By owning them long term, hopefully I can answer any questions about both units in the future. If you click and buy, I (might) make a small commission (so thank you!). 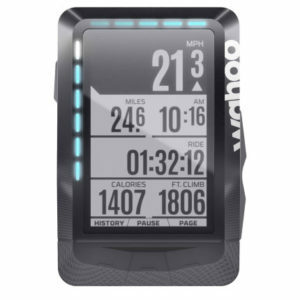 Bought on the day that Garmin released the Edge 1030? Review from DC Rainmaker and others very positive. Early days but looks like they’ve taken notice of the newcomers and improved the UI, functionality etc. I keep my phone in a small backpack and want the battery undrained in case it’s needed in an emergency. My 810 performs flawlessly, I use it in the pitch dark as well as daylight – no issues. I’ve downloaded OpenStreetMap maps for my area (Vietnam) and they have excellent detail, even local motorbike trails are visible. Good timing eh. I’ve never really been tempted by the 1000 and the 1030 isn’t doing it for me either. Wahoo Bolt all the way for me after years of Garmin wrangling. The Strava live segments integration walks over garmin (and it can handle live segments while following a route unlike Garmin), syncing with strava routes and ridewithgps routes is a simple joy to behold, the zoom functions are ace, the device buttons easy to access, screen clarity great, mapping (for my needs) walks over the edge 520 and allows you to self correct easily and the phone config is so good. Throw in extra power meter data fields and waaaaay better Ant+ reception with a Stages power meter than the 520 (drops signal on an out front mount all the time unlike the 510) and then there’s the price. Hasn’t lost any day in 3 months hard use and syncs like a dream…Garmin killer and about time! Very interesting Clash (Mr Womble). I look forward to getting to grips with it. Always look forward to your ramblings (oops, writings). 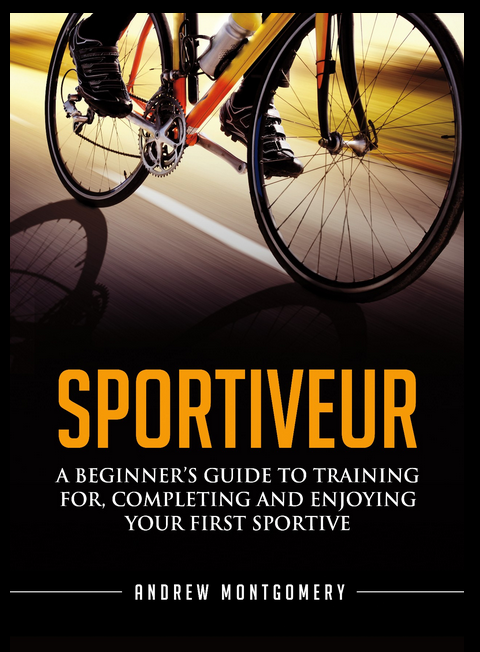 Very informative–began reading your wisdom when I began road riding–you keep me motivated!! Thanks Mike (I think!). Glad i keep you motivated! I’ve been running a Bolt for since May and love it. Easy to use and has everything you need. My only problem is old(er) age leading to not being able to read some of the small print but that applies equally to all bike computers. Some screens are “zoomable” but never the one I want. Add me to the list of old(ish) folk who needs reading glasses, and screen size becomes an important criteria. So much so, I’ve been considering changing from my Garmin 500 to a 1000 just for that reason alone. I’ve thinking and reading, and thinking and reading for a while now and entering the making my mind up at last phase. Your excellent article is leaning me towards the Bolt as well, but I wondered have you any feedback since well earned purchase Monty? Been using an ELEMNT for over a year now. Can’t fault it. Rock solid performance, constant updates and enhancements from WAHOO, who, incidentally are very interested in user feedback and implement changes suggested on their forums. Screen colour is black and white and is such due to being able to be read in all lighting conditions. 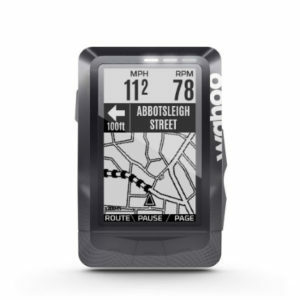 BOLT or ELEMNT, it’s a no brainer. Hey andrew awesome comparision. (bookmarking your page right away). About ELEMNT vs BOLT : in black friday amazon and wahoo fitness are selling both at same price ( amazon infact selling it 20 dollars cheaper than bolt) so went for the elemnt itslef. In cognitive dissonance mode now. was it a good move ? or not ? Just wondering how practical it is to use midrange smart phone for sole purpose of riding. Apparently UI, connectivity is much better on phones. Now many phones are water,dust and shock proof. I know some people may find batter life an issue but for most few hours ride will do. Would be interested to know your thoughts on that. I bought my ELEMNT a year back and had some problems with setup but got it to work. Downloading ridewithgps routes seemed difficult at times. Most club members that I ride with were buying Garmin. I bought the 1000 edge since the larger screen was important to me. Continuous problems with it; difficult to set up and didn’t always work well. The ELEMNT I had I gave to me son but he returned to me and I’m much happier riding now and have 100% confidence that I can trust the ELEMNT. Never had a bike computer before so thank you for the advice – I’m wondering what happens if you fail to follow a direction change? Is every direction change after that then misleading because it doesn’t redirect you, and you’re not where it thinks you should be? Does that make sense? I have a anotoriously s**t sense of direction, and need every bit of help I can get! Hi Glenn – I can only speak to this with certainty about the ELEMNT BOLT, but I think the ELEMNT is the same. The BOLT (like the Edge 520 and most mid range GPS computers) uses a ‘cookie crumb’ form of navigation, so it only provides navigation prompts (Turn right in 100m etc) when you are on the course. If you go off course, it beeps and the LEDs flash red. By looking at the map, you can sort of work out how to get back to the course. It’s not like a car though – you’ll know pretty quickly you’re off course, and you can simply stop and back track to the correct turn. If you get properly lost, you’d revert back to your smartphone, work out a route on that then potentially upload it to the device. If you want a device that has onboard ‘intelligent’ mapping, I think you’re looking at the Garmin Edge 820, 1000, 1030. To be honest though i think the combo of the Wahoo BOLT and an iphone (or similar with Google Maps) will be just as good if not better for most uses. Sorry, another question – I wear contacts and need rrading glasses for ……..reading , putting these on and off while cycling would get a bit tedious (even at the glacial speed I can mamage) – anyone in the same situation – is a smallish screen manageable or do I need a big Garmin? Solution is bifocal glasses. Amazon about 11 quid. Select diopter 1-3.5. My cycling world was transformed by these. I’d say the Wahoo screen or the text on it is clearer/more defined. The zoom function works really well so you can easily press a few buttons to reduce the number of data fields (from 10 to 8 to 6 to 4 to 2 to 1) and each time you do so, the numbers/digits get bigger. If you’re unsure (and I’m unsure about the bigger Garmins), potentially worth going to have a look in a shop?